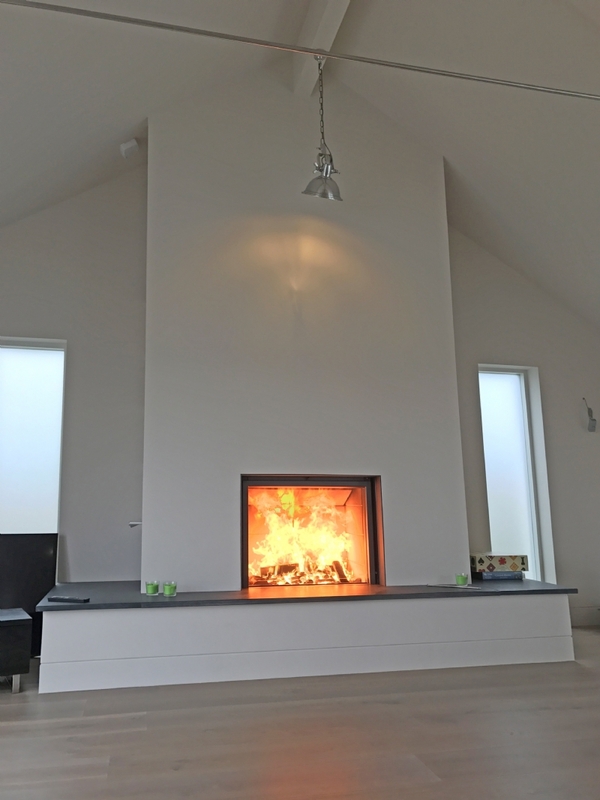 Stuv woodburner in bespoke fireplace wood burning stove installation from Kernow Fires. 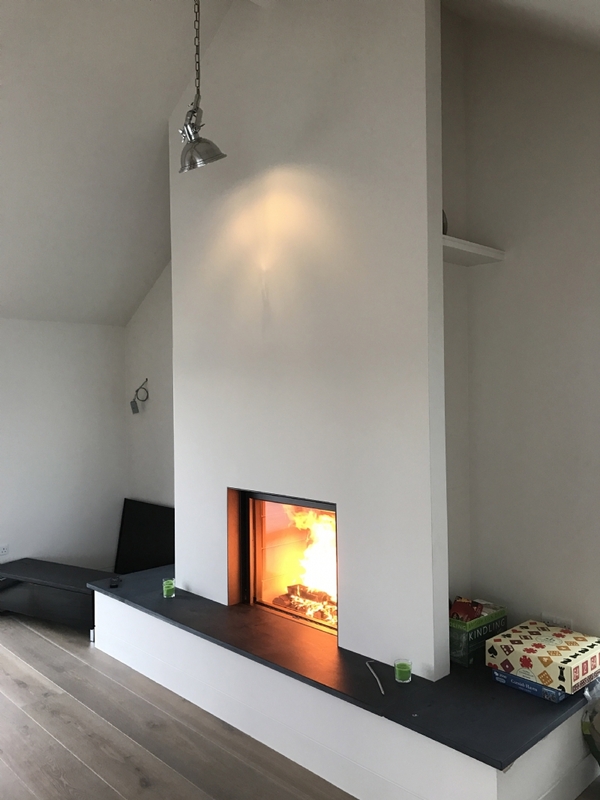 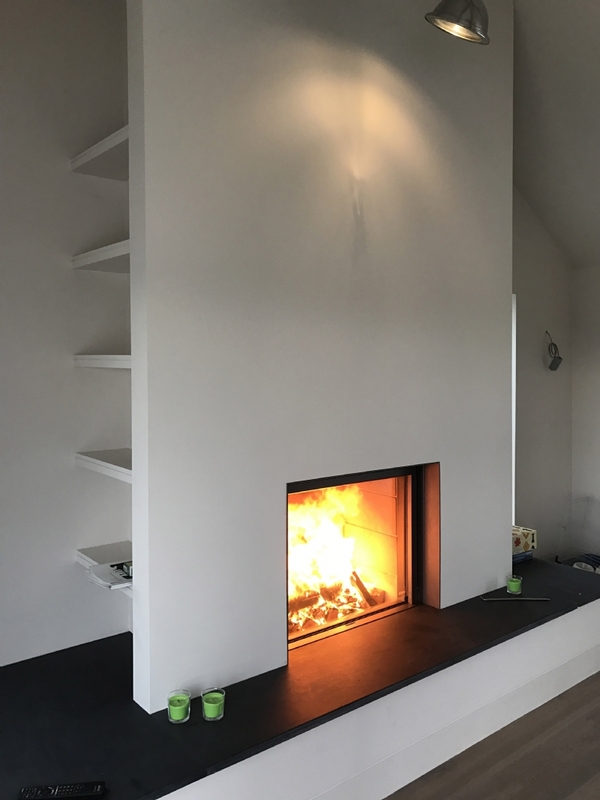 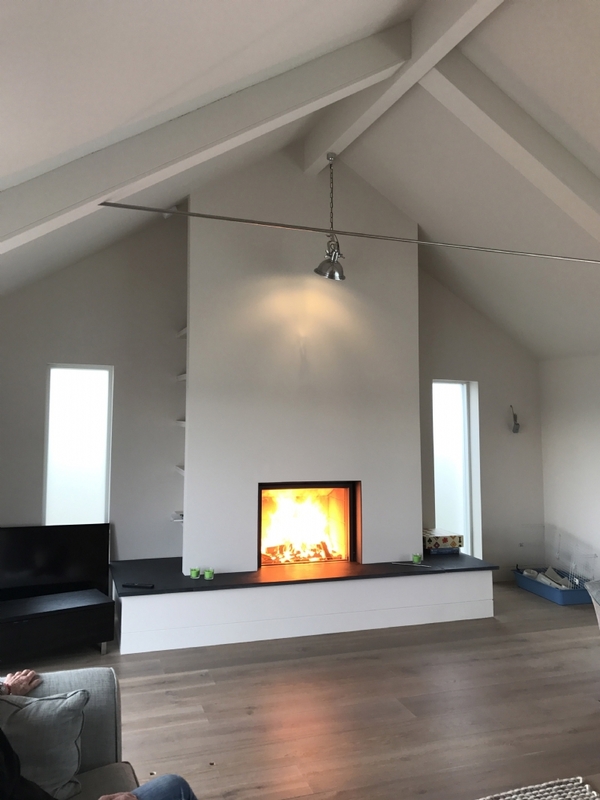 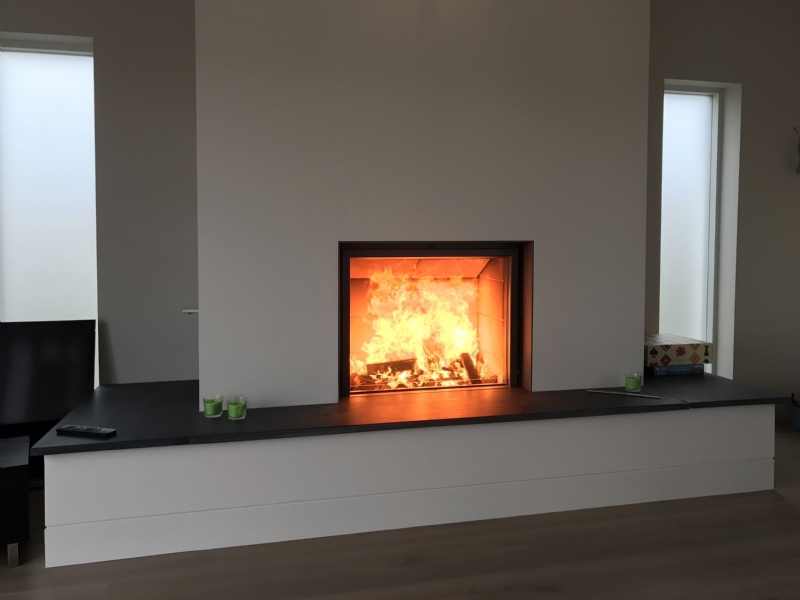 This Stuv fireplace was built in situ with the chimney breast being built to fit, include shelving for books and toys and on the other side a log storage area. 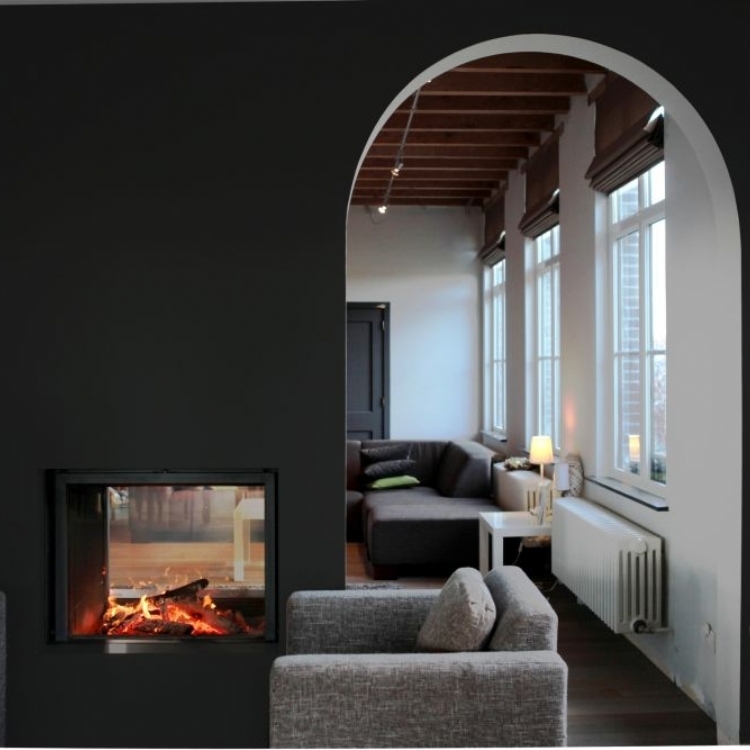 This is a nice way to include hidden storage in your room.